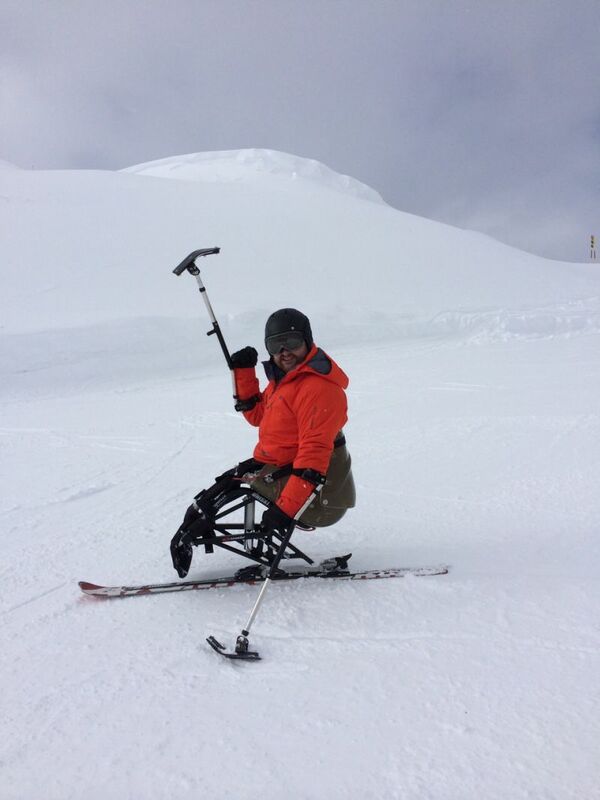 For those who have lost a limb, leg or arm, even perhaps all four there is are many way in which the mountains can be accessed for skiing, snowboarding or other mountain activities. 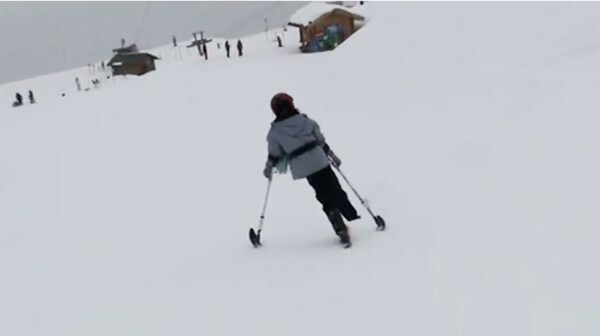 There are many ways in which skiing with an amputation can be achieved - either standing or with the sit-ski. 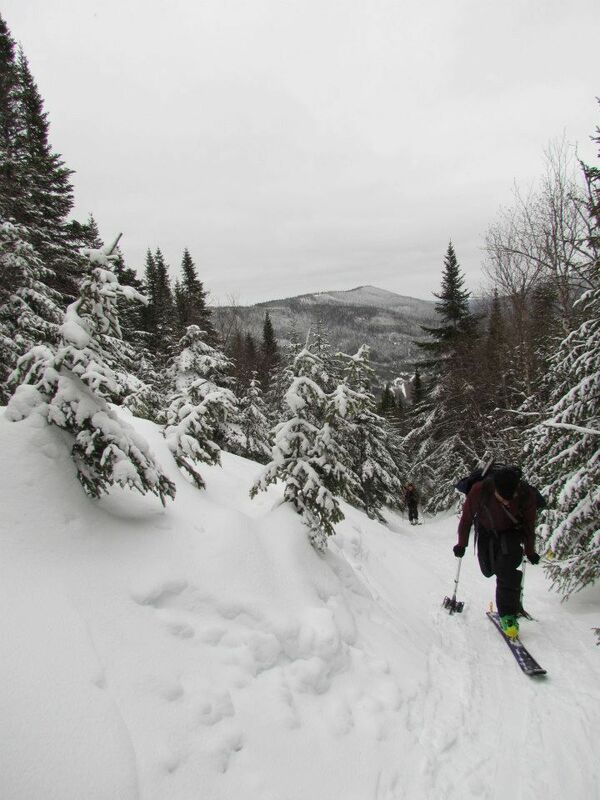 Whatever your condition there will be some way in which you too can enjoy the mountains with family and friends! It is just a question of finding out which way is going to suit you the best and sometimes that might be trial and error but with the amazing instructors and others in a similar condition all able to offer help and advice the rewards will be enormous! 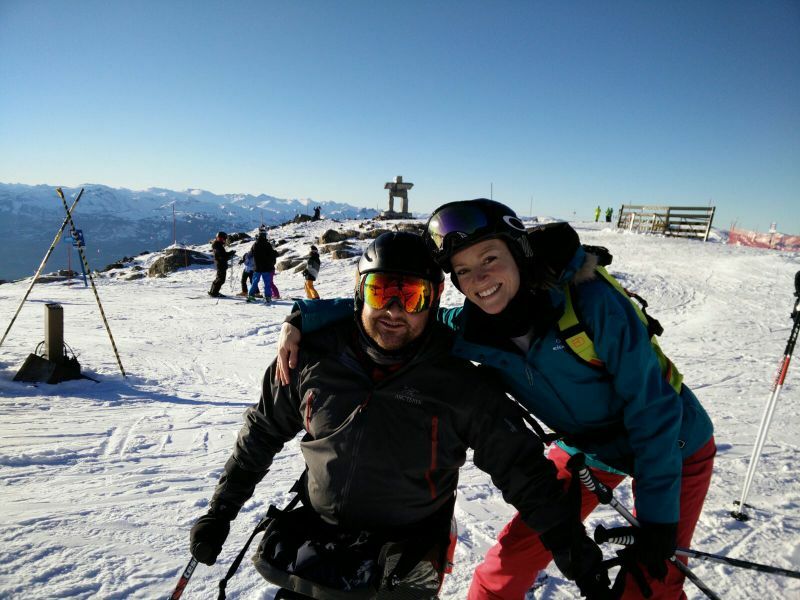 What we can do is offer some idea as to how you can ski, snowboard, snow walk - off piste or on piste with equipment for amputee snow-sports, ideas on prosthesis or adaptations. 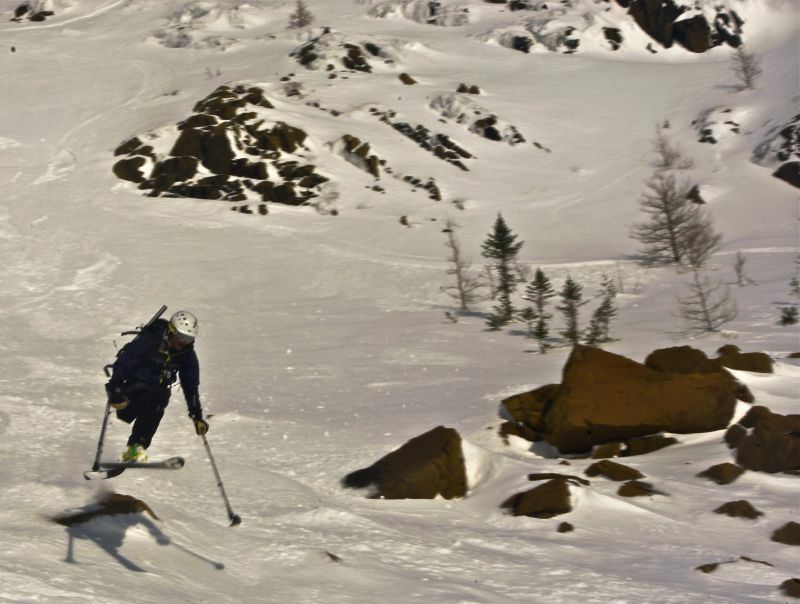 Whether you ski on one ski, two skis or use a sit-ski will all depend on the level of your amputation; the type of prosthetic(s) you have and your overal physical health. 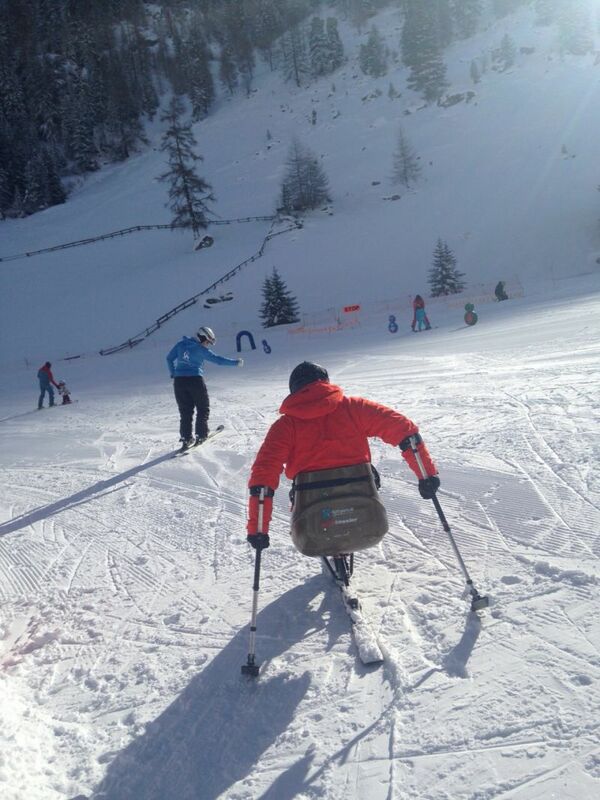 Some of our beneficiaries ski standing others find it easier to use an adaptive ski - such as the mono-ski or dual-ski. With a high-level double amputation then this is probably the only option. 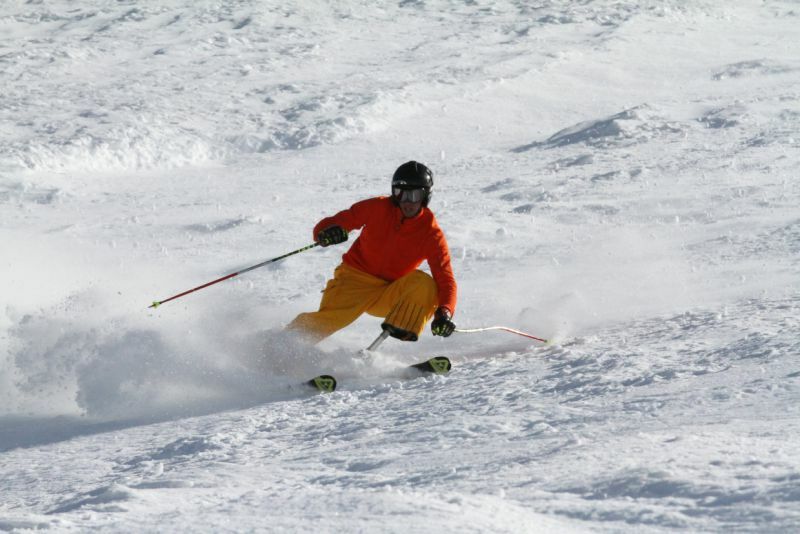 Some skiers have found that even with a single-leg high amputation they are still able to ski on one leg but this will depend on the injury sustained and also the prosthetic. The ski-mojo can help in some cases to give strength to the remaining leg. 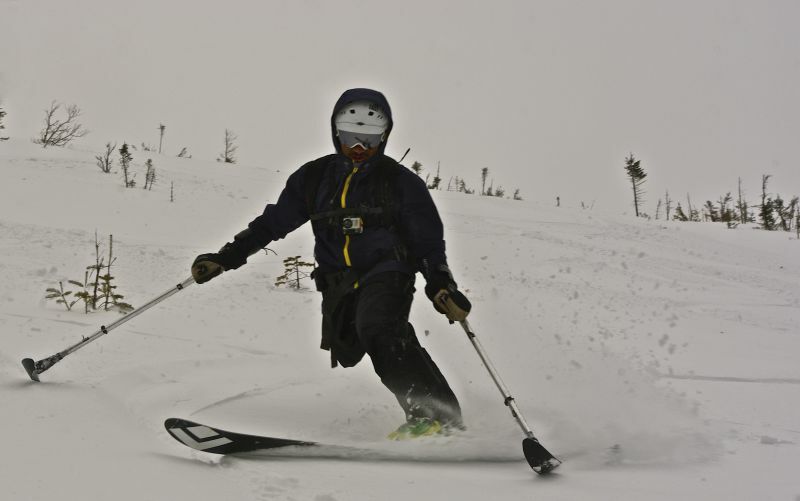 One of our Patrons' Jamie Andrew, himself a quadruple amputee, skis on two skis standing - he is always more than happy to pass on support and help. "Thank you so much for all your help, I had an amazing time!! I'm so glad I decided to use the outriggers. Thank you so much for sorting this out for me! This holiday has been a massive achievement for me." Jack Eyers (21) single leg amputee. 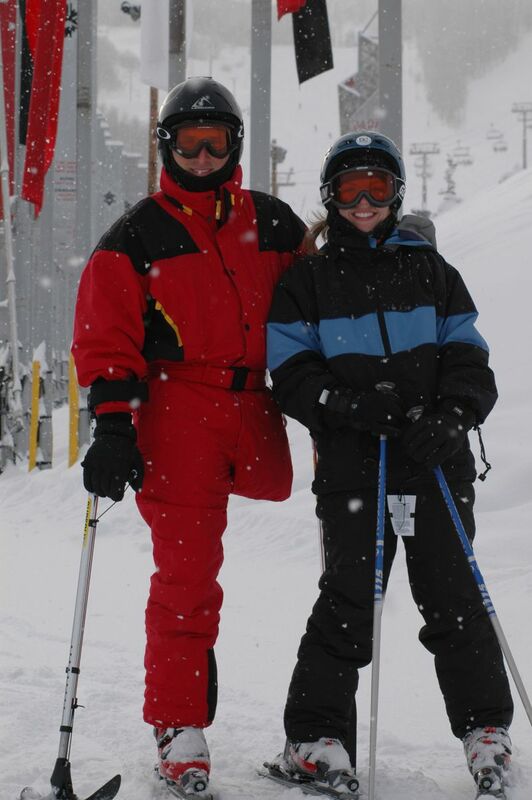 For someone who has lost one or more limbs (arms or legs) the opportunities for skiing are enormous. Much of what can be achieved will depend on the degree of amputation and physical condition of the child or adult. 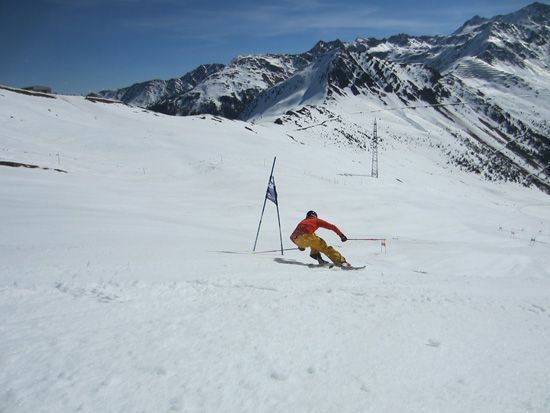 Ski 2 Freedom has helped proved information so that a number of people can now ski alongside family and friends. We are also keen to expand our Information Resource so that more can benefit. 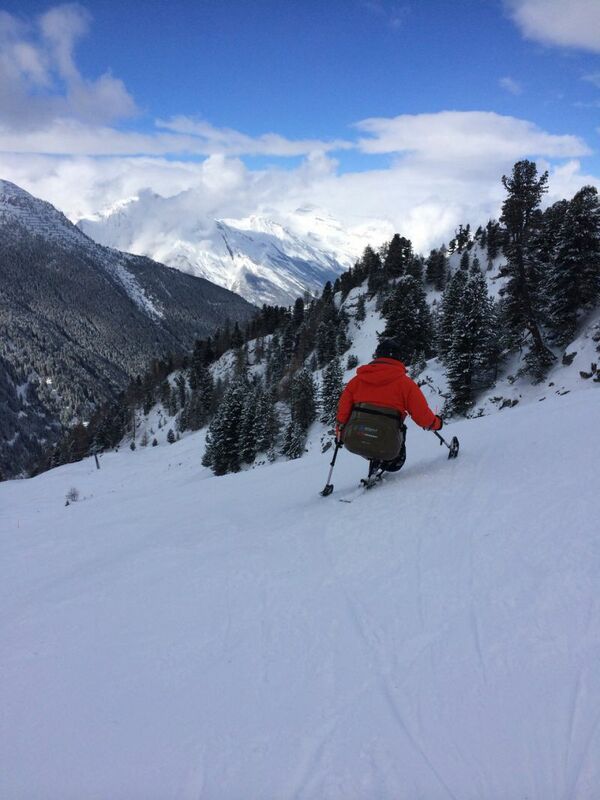 If you have any experiences skiing with or without a prosthetis please do share them with us! Specialist equipment is available and we can provide you with details of these organisations just click here for more information. 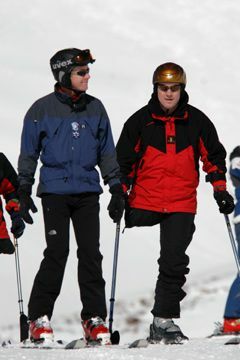 For many people with an amputation there is still the possibility of skiing with a prosthesis and/or orthesis. We are happy to share these links and information with you. One of our Patrons, Jamie Andrew, is a quadruple amputee (hands and feet) and is very happy to help with advice or information - do contact us and your email will be passed on to Jamie. Prosthesis substitute missing parts of the body and allow a functional and cosmetique substitution. (example given: leg amputation). Well adjusted prosthesis support bodies symmetrie and decrease stress on other anatomical structures. 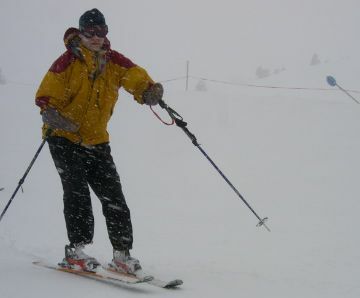 To achieve best possible performance and technique in snowsports, the use of a prosthesis specially adapted for skiing is indispensable. 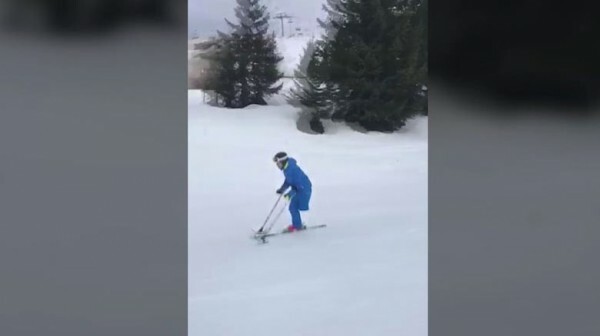 For children who are still growing the use of special skiing prosthesis is more difficult because of quickly changing anatomical situation which can make adaptions or changes of prosthesis necessary - but it is still a possibility and to be encouraged if you can do it! Orthesis are specially handicrafted orthopaedic splints. They are used in different ways and help. Before using splints for skiing the situation should be well analysed and be reassessed at regular intervals. 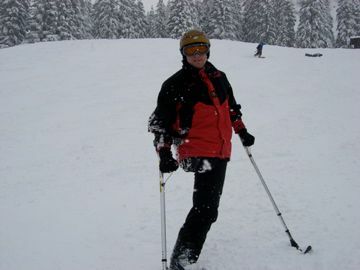 Active Motion based in Switzerland is a very good source of advice and information on skiing and are able to provide ski instructors - they are based in Interlaken and know the Grindelwald, Murren, Wengen ski resorts extremely well. 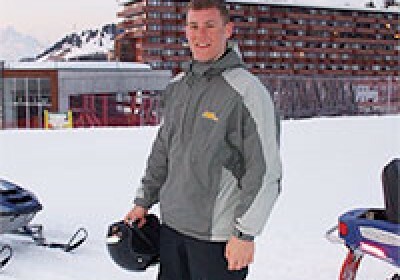 They would however also travel to other ski resorts or be able to help with instructors. 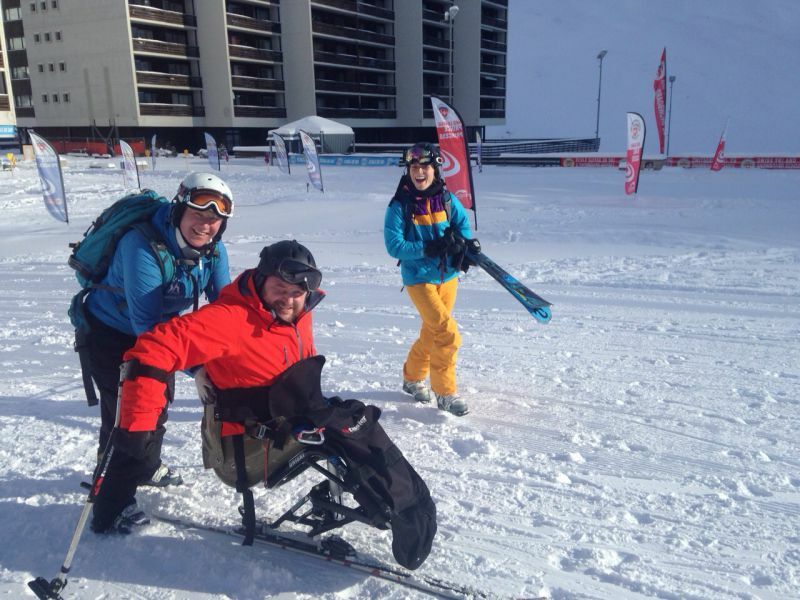 There are also a number of charities which help specifically with amputees and organise ski trips - you may be eligible for one of these or, they may well be able to help with information or advice, perhaps your request may be answered by one of their members.